Q1. Are there any ways to recycle desiccant that has already been used? If the desiccant still available, it can be used for saving home food and shoes, etc. Lime desiccant (RAYM) is grain and turns to powder after absorbing moisture. If there still have grain in the bag, the desiccant is still effective. Silica gel and clay desiccant such as CAREDRY and UNIT PAK，can’t confirm there residual capability because their shape and color will not change. If humidity indicating silica gel in the desiccants changes from blue to dark red, it has no effects then. It should be abandoned according to local allowed methods and regulations. The chemical absorption desiccant （RAYM・DRYMAX）whose raw materials would possibly have exothermic reaction instantly when contact with water, so it can’t be thrown to washy place. When calcium oxide contacts with water, it will react and release heat. If there is any burning indication, please consult to the doctor. If the substance you ate is moisture absorbed slaked lime, just rinse your mouth. Slaked lime which is calcium hydroxide has no toxicity and is regarded as food addictives for foods. But the aqueous solution is strongly alkaline and irritant to mucosa. Drink plenty of milk and water and consult to doctors. The chemical property of silica gel and clay is steady, they can’t be assimilated even they are eaten by mistake. If eating by mistake, please drink a lot of water, milk or tea after rinsing your mouth. If entering eyes imprudently, please don’t rub and wipe, wash with the running water immediately. Desiccants are non-poisonous, so even they oozed out of the pouch after heated and boiled. They have no influence to human body. So don’t need special treatment. If you really very worry about it, please consult with the doctor. The expanding desiccant is the lime desiccant, whose main element is un-slaked lime (CaO). After it absorbed moisture, it turned into slaked lime [Ca (OH) 2], whose form changed from particles to power and volume increased by 2-2.5 times. So while designing the desiccant pouch, our company has already considered the problem of its inflation. We strengthen the size of the bag, which effectively prevent the happening of sack broken. The principle of desiccants of keeping food from dampness is by absorbing vapor inside the packing container to a low humidity.Oxygen absorber is by absorbing oxygen, which effectively prevent food from oxidation, changing color and mildewing. You can distinguish and use them according to the property and storage purpose of the food. Below are examples for reference. Desiccant can be classified into 2 kinds——- Physical desiccant and chemical desiccant. The former (RAYM、DRYMAX) absorbing moisture by chemical reaction with water. The physical characteristics of the later (Silica gel and clay desiccant [CAREDRY /UNIT PAK] is steady, it absorbs vapor by pores. Q9. Whether the desiccants can be renewable? The lime desiccant (RAYM) can’t be renewable because it will turn into slaked lime from un- slaked lime after absorbing moisture, the substance has changed. DRYMAX turns to solid after absorbing moisture and can’t be renewable. Silica gel desiccant and clay desiccant which contains CAREDRY and UNIT PAK will not change after absorbing moisture. It can be renewable after heating. Packages of desiccants are plastic film and non-woven fabric. They should be heated under the low temperature for a long time below 100℃. In order to guarantee the security, our company stipulates that the packaging materials must accord with the following standards. Intensive standard (refer to the following table): Prevent bag broken caused by external forces, especially use the high intensive standard grade reinforcing fiber (only our company has this technology in China). Size standard: Prevent bag broken arising from absorbing moisture and inflating. Waterproof standard (use waterproof paper): Prevent raw materials from contacting water (only our company has this technology in China). Weight standard (thickness, weight and material of the packaging material): Prevent bag broken caused by external forces. Expressing Benchmark: It is obligated to cause consumer’s attention. Moisture-penetrating Standard: We do penetrating process for the packaging material inside our company. 80,000 stable vent hole per square meter (only our company has this technology in China). There are two kinds of silica gel who have strong ability of absorbing moisture. One is type A silica gel as long as put it under normal scope of low- humidity circumstance, which mainly apply to keep food and metal dry etc. The other one—- type B, it adsorbs a large amount of moisture in high humidity and discharges gradually in low relative humidity. 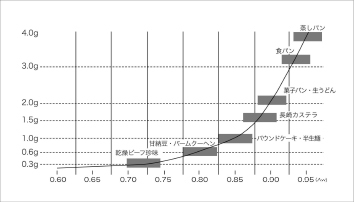 Type B mainly is used to control the ambient humidity. Generally speaking, the silica gel desiccant we called is type A silica gel. The regulation about silica gel capacity refers to JIS (Japanese industrial standard). Q12. The silica gel and clay desiccant are both with physical absorption ability, are there any differences between them（CAREDRY/UNITPAK）? Because both of them absorb vapor in the air through their pores, we call them physical desiccants. Silica gel is a kind of material with micro-pores, which is made by a chemical process—– from silica sand in the soil to the high purity silicon dioxide. Clay desiccant is a special substance with micro-pores, whose soil compositions are very active. It is not harmful to the environment if it is separated from the sack and disposed to the natural environment. If you put the remnants like they are, they will constantly absorbing vapor in the air, which will decline desiccant’s performance. So, you should keep them in the same bag and tie it tight with an elastic band, then put them in a relative shady and cool place. The forming reason of the rust which is mainly oxide is mainly the existence of oxygen and water (vapor), so long as remove one of them, it can play a preventing role. If you choose oxygen absorber, you need packaging materials with high air barrier. If the bag is sealed not very well or having holes, oxygen absorber will invalid completely. So you must be very careful while using it. In addition, before using it, you must do some actual packing experiments for confirming, because different kinds of metal have different influences affected by oxygen absorber, which may change the color of metal surface. You’d better use well-qualified moisture-proof packaging materials. Comparing with oxygen absorber, desiccant is more economical. It wouldn’t lose the desiccant’s capacity completely because of unqualified heat sealing and small holes. Well, no one is willing to see any problem. If you are still anxious about it, you can add a little amount. The raw material of silica gel is acid. Even separated by packaging materials, it is not suitable for keeping with metalwork for a long time. The series of clay desiccant belong to non- deliquescent desiccants, whose PH index presents neutrality. Even if they keep in touch with metals, the possibility of getting rusty is very low, so you can use them safely. Q1. Does the oxygen absorber, which had put into food, can recycle? Once the oxygen absorber used, it would lost its function, so it can’t be re-used. Q2. How to dispose oxygen absorber? At home, you can discard it as nonflammable garbage (organic oxygen absorber can be burnt, but it is difficult to distinguish it from iron series). If it is widely used in industry, please deal with it as industrial castoff. Q3. If ate oxygen absorber by mistake, how to deal with this kind of situation? Iron series oxygen absorber will not be digested, even if it gets into the human body, it will be naturally excreted. Organic series oxygen absorber can be look as food additives, so it is relatively safe. So don’t worry, if you ate it by mistake, wash your mouth and drink some water, milk or tea etc.If you still worry about it, you can go to see the doctor. Q4. When you take out of the oxygen absorber sealed in the food package, you may find it heats, why? The organic material or the iron will react with the oxygen in the wrapping bag , which also release heat at the same time. If it still has oxygen absorption capability, it will continuously react and release heat, even it has already put out of package. But it’s safety and can’t give rise to any fire. It wouldn’t cause the situations such as sharp heat or scald. Q5. Whether the oxygen absorber can be put together with food in the microwave oven for heating? After heating, the oxygen absorber may be broken or cause fire. So it must be taken out in advance. Q6. What are the classifications and characteristics of oxygen absorber? 1) Oxygen absorbers can be divided into two kinds: Iron series and Organic series. The iron series which has N, K and W types reacts with oxygen and form rust, so the oxygen will be absorbed, and the sealed container will be have no oxygen inside. The organic series can be used as the raw material of food additive. The volume of carbon dioxide that released is almost equal to the volume of the oxygen that is absorbed, so the container will not shrink, and the soft and squashy food can be kept well. The packed final commodity can pass the metal detect machine. 2) Oxygen absorbers can be divided into self reaction type and water depended type. Self reaction type absorbs oxygen when the bag is opened and contacts with the air. Water depended type is suitable for food that has high water activity between 0.85 and 0.98. It absorbs oxygen when it contacts with moisture from food. 3) According to different packaging materials, oxygen absorber sorts into 2 kinds: one is oil and water proof type such as N and OA type; the other is ordinary absorbers named K type. Please use oil and water proof packaging materials if the product is greasy and watery and contacts oxygen absorber directly.If the product contains little water or oil and don’t contact oxygen absorber directly, please use common packaging materials. Please do actual packaging experiments in advance to confirm the result to get the best effect. Q7. If you need to apply oxygen absorber to the new products, how to choose the oxygen absorber’s type and size? Q8. How to prevent the outer packing from shrinking? The volume of carbon dioxide that released is almost equal to the volume of the oxygen that is absorbed, so the bag or the container will not shrink, also the carbon dioxide has the function of bacteriostasis. Alcohol has the function of bacteriostasis, so it can prevent mildew and keep the food quality well. In order to prevent food from oxidation, you can use inactive gas such as nitrogen to replace the oxygen in the package.But, it is impossible to remove all the oxygen and the oxygen can infiltrate into the bag gradually. If you want to preserve your products for a long time, the inactive gas should be used together. ※ Don’t choose oxygen absorber with lower capacity to prevent package shrinking. Remaining oxygen and the infiltrated oxygen will make the products go bad or degradation. Q9. Whether the oxygen absorber has a function of preventing food from fermentation? It can’t restrain propagation of anaerobe that caused by fermented fermentation. (1) FreshCare： Fresh Care is a kind of special pouch full of volatile alcohol gas, which prevents mold by volatilization of alcohol gas. Oxygen absorber： Oxygen absorber prevents oxidizing, changing color and moldy of food by absorbing the oxygen. Both of them can prevent mildew, but yeast can multiply in the condition whether it contains oxygen or not. (2) FreshCare： Fresh Care may use the packaging materials with no air barrier, such as OPP/CPP, whose prices are relatively cheaper. Oxygen absorber： However, the packaging materials of oxygen absorber are with high air barrier, such as KOP or EVOH which has a higher price. (3) FreshCare： Fresh Care has an effect of avoiding water evaporation, keeping its fresh taste and prevent hardening. Oxygen absorber： Sometimes oxygen absorber will absorb the moisture from the food and would make the food harden. (4) FreshCare： After tearing the Fresh Care’s package, you can smell the odor of alcohol. When put the individual into food, you can hardly smell anything. Oxygen absorber： Oxygen absorber has no odor. (5) FreshCare： Fresh Care can’t preserve for a long time and differs according to different food. 2 months is the longest. Oxygen absorber： Oxygen absorber can preserve longer than Fresh Care. For example, there are 300g food with water activity 0.85. According to the table below, we got to know 100g food with water activity 0.85, should use 1g Fresh Care. Result shows to choose 3.0g Fresh Care. Nantong OhE Chemicals Co., Ltd. is a sole venture, invested by OhE Chemicals Inc.(Japan) and ITOCHU PUPLP & PAPER CORP.(Japan) .It is locates in Nantong Economic & Technology development Zone in Jiangsu Province of China. Quality maintenance through science is the topic of our development & research. Our products can prevent the commodity quality from worse during transit thus we can keep the commodity value for our clients so that consumers can buy the fresh goods.